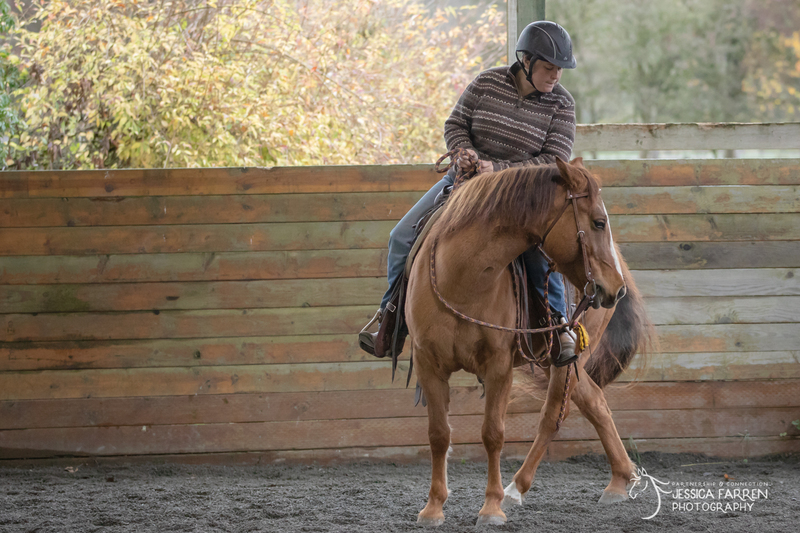 Lacey is making great strides in her riding work and improving immensely with Kaya’s consistent care. 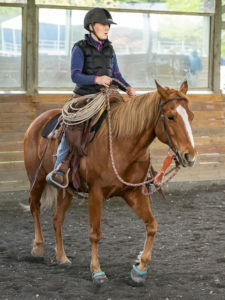 We recently took Lacey out on a trail ride. She had a good amount of energy and life out on the trails. She was brave and attentive to Kaya. 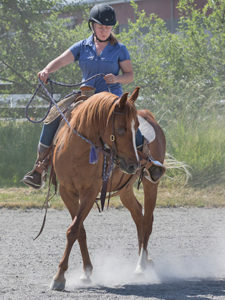 She did feed a bit off the other horse’s high energy and became “hot” when a runner came from out of nowhere. Kaya did great getting her to work and get busy to regain her attention and peace. 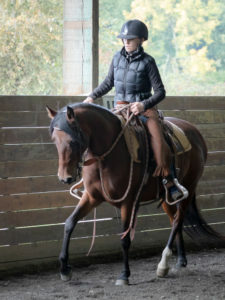 It took a little time but she came to focus and Kaya was able to regain a calm and relaxed ride on our way back home. 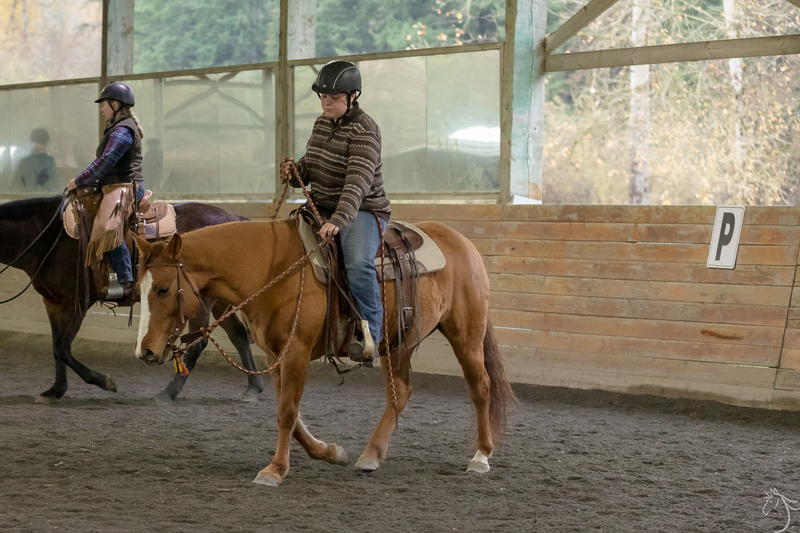 This was my second clinic with Lacey and I was a lot more confident this time around! 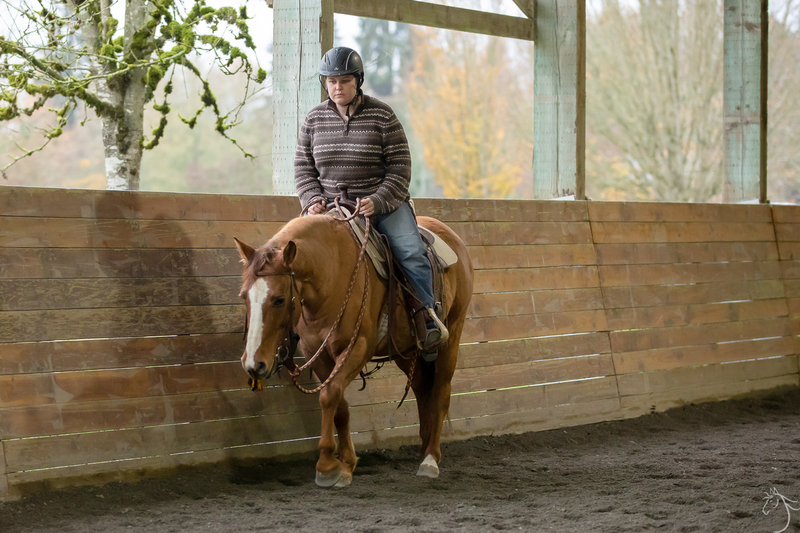 I have come to realize over the last month that Lacey is not generally bothered by outside factors like weather, other horses, commotion, things that might make other horses nervous or flighty. Lacey is one solid pony! That being said, fighting her dullness is a constant struggle. 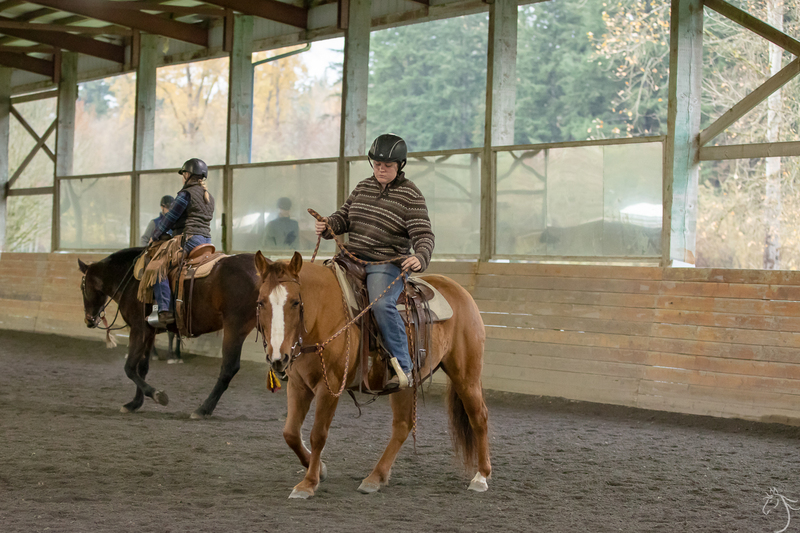 Saturday was great and we were consistently picking up the correct lead and transitioning between gaits with ease. Sunday, however, she was really tired and a lot more work. Joel gave us instructions to focus on short rides that inspire life until around January. Besides focusing on life, Joel also helped us with front quarters. He noticed that Lacey was really heavy on the front end and gave me tools to help her be more free there. 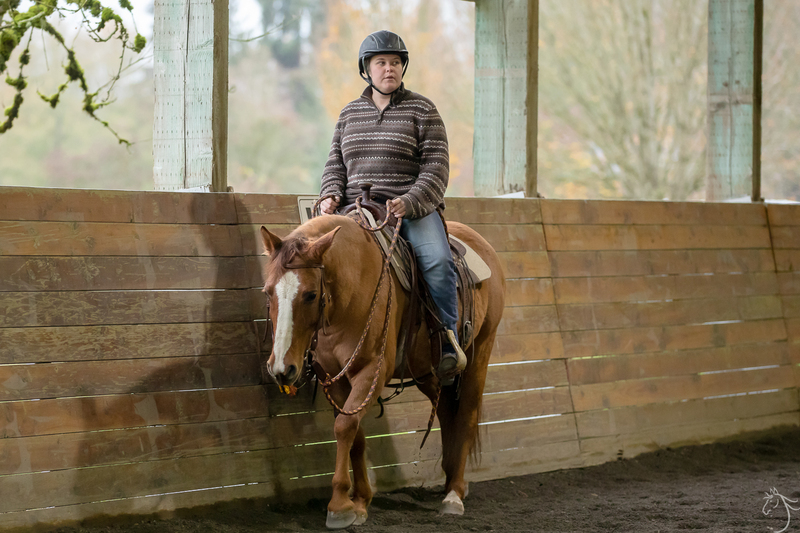 Lacey is such a special horse, I feel so lucky to get to be her friend. Lacey definitely has a lot of love to give, but she’s a little selective about who she gives it to. Though some people may think that Lacey is just grouchy and mean, that is so not true! 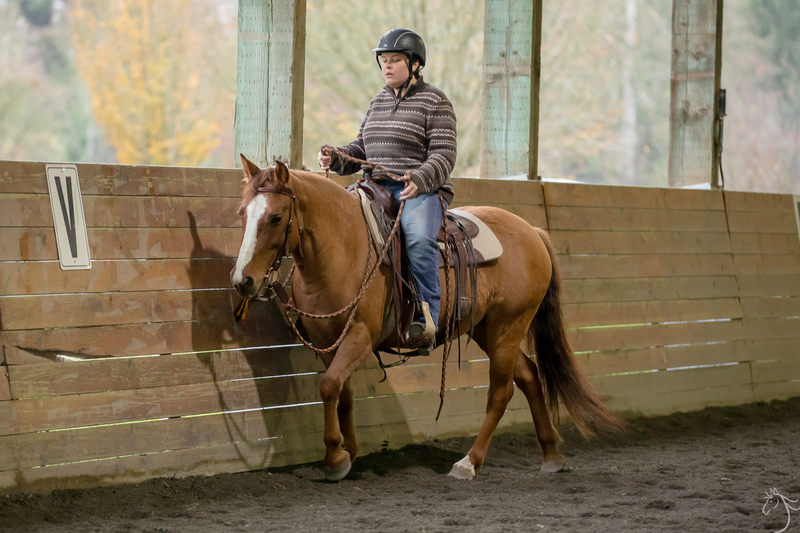 She is one of the most cuddly and lovey horses I’ve worked with and is so much fun. She has so much to give and is going to make an amazing partner for someone in the future.